It has been said that we are civilised, but not humanised; and it is to the women that we look to bring about the humanising of civilisation. Yet when this refining, softening, influence, which your organ so frequently acclaims, is manifested in a son's life, it is held up to ridicule. This Act dishonours the Commandments. Married to John Howell, the director of the Christchurch Technical College, both Ellen and John were active members of the National Peace Council (NPC). When Charles Mackie, Secretary of the NPC went on a tour of several South Island towns in 1912 he left Rose Atkinson and Ellen Howell in charge of the NPC office. Rose Atkinson reported to Mackie, ‘Mrs Howell has been doing excellent work and I have been trying to help her’. Their work included sending copies of Robert Laing's book Shall War and Militarism Prevail? to Methodist Churches, responding to requests for peace literature, writing letters to Members of Parliament and attending court hearings of the young resisters and objectors. Ellen Vickers Wheeler had married John Howell, at Redland, Bristol on 8 September 1894. John Howell who was both an arts and science graduate was senior master at the Strand School, King's College, London, from 1894 to 1899 followed by a position as science master at the Aberystwyth county school. The couple arrived in Auckland in 1901 where John had been appointed science master at Auckland Grammar School and moved to Christchurch in 1906 where John transformed a series of technical evening classes into a highly regarded and successful full-time technical college. Mary Scott a teacher at the Christchurch Technical College described Ellen Howell as ‘charming and original: She was ‘a great character in her own right – small and gentle, whimsically and incurably humorous; an intellectual of strong personality under a deceptive appearance of fragility; her husband’s support and counsellor in everything’. Another said: ‘Mrs Howell was a revelation to us. She was a beautiful woman, slight and graceful with dark eyes and hair; and she wore gowns with flowing skirts [again] in aesthetic colours, mustard, soft lemon or dull olive green’. 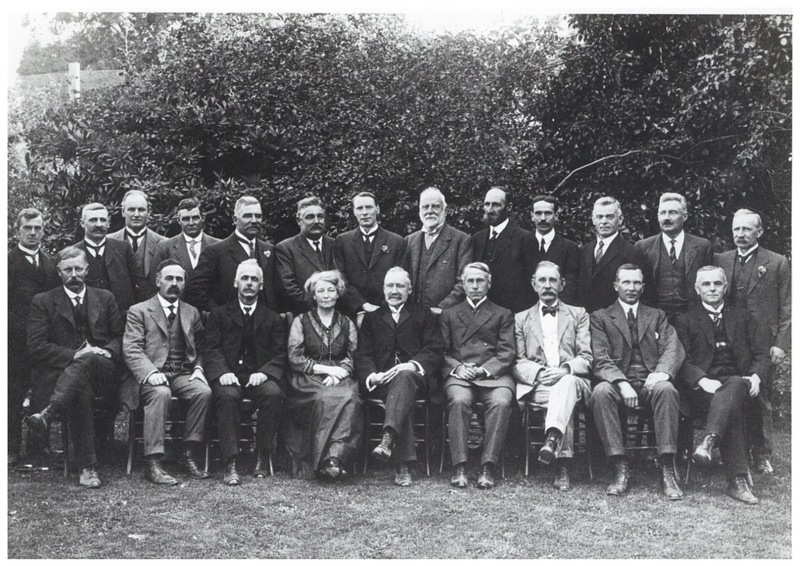 John Howell, seated front row, fourth from right with the board of the Christchurch Technical College, 1917. 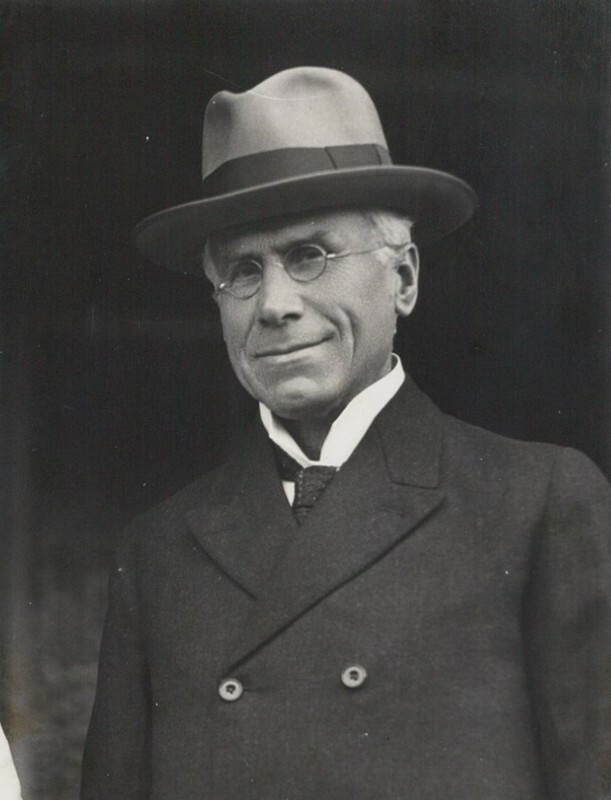 When an employee at the Technical College, Noel Goldsbury, a Quaker, was imprisoned for his religious objections to conscription in 1918 John Howell was accused of influencing Noel Goldsbury and of influencing the Board when it granted Goldsbury leave of absence. The degree of hostility in the wider community towards anyone known to be associated with a pacifist stance can also be seen in other attacks made on John Howell at this time. He was criticised for not giving the Technical High School a holiday when Bulgaria surrendered, for not flying the flag on the same day and for continuing to pray for the enemy as part of the College’s daily assembly. He was also very much opposed to a resolution passed by the Board which asked the Director to prepare a list of children of alien enemies attending the College. John Howell was the official visitor to Quakers, who were in prison as conscientious objectors during World War I, and during the Second World War. While he was living in Wellington, he supported Quakers objecting to military service at military service board hearings and regularly visited and assisted interned aliens imprisoned on Somes Island in Wellington Harbour. John Howell died in 1944 survived by his wife Ellen. 'The Conscientious Objector', Press, 5 December 1912, p.3. James W. Brodie. 'Howell, John Henry', from the Dictionary of New Zealand Biography. Te Ara - the Encyclopedia of New Zealand, updated 22-Oct-2013. Rose Atkinson to Charles Mackie, n.d. Mackie Papers, Series 12, Box 2, Folder 8; Rose Atkinson to Allan Matthews, 11 July 1912, Mackie Papers, Series 39, Box 3, Folder 16, Canterbury Museum, Christchurch. Ellen Howell to Charles Mackie, 10 July 1912, Mackie Papers, Series 23, Box 3, Folder 12; Rose Atkinson to Allan Matthews, 11 July 1912, Mackie Papers, Series 39, Box 3, Folder 16; Rose Atkinson to James Allen, 16 July 1912, Mackie Papers, Series 32, Box 3, Folder 14, Canterbury Museum, Christchurch. 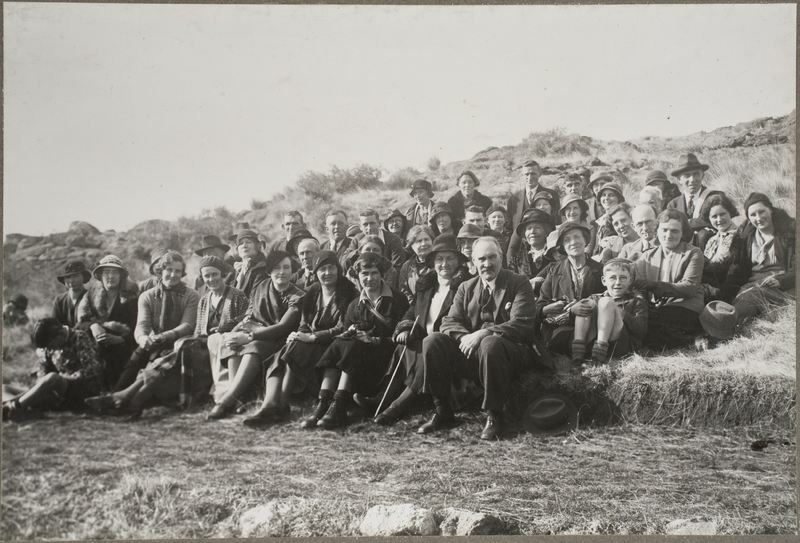 James Brodie and Audrey Brodie, Seeking a new land: Quakers in New Zealand: A Volume of Biographical Sketches (Wellington: Beechtree Press, 1993), pp.139-40. Charles Mackie to Mr Howell, 19 March 1913, Mackie Papers, Series 23, Box 3, Folder 12, Canterbury Museum, Christchurch. Charles Mackie to Mr and Mrs Howell, 15 May 1914, Mackie Papers, Series 23, Box 3, Folder 12, Canterbury Museum, Christchurch. ‘A Warm Discussion: Technical College Affairs: the Goldsbury Case Again’, Sun, 8 February 1919, p.9; ‘Personal Statement of the Director with regard to matters that have been brought before the Board or the public purporting to reflect upon his administration’ 28 January 1919, Roth, Herbert Otto, 1917-1994: Papers, Pacifism in New Zealand, 82-213-05, Alexander Turnbull Library. Brodie and Brodie, Seeking a new land: Quakers in New Zealand: A Volume of Biographical Sketches, pp.135-141.